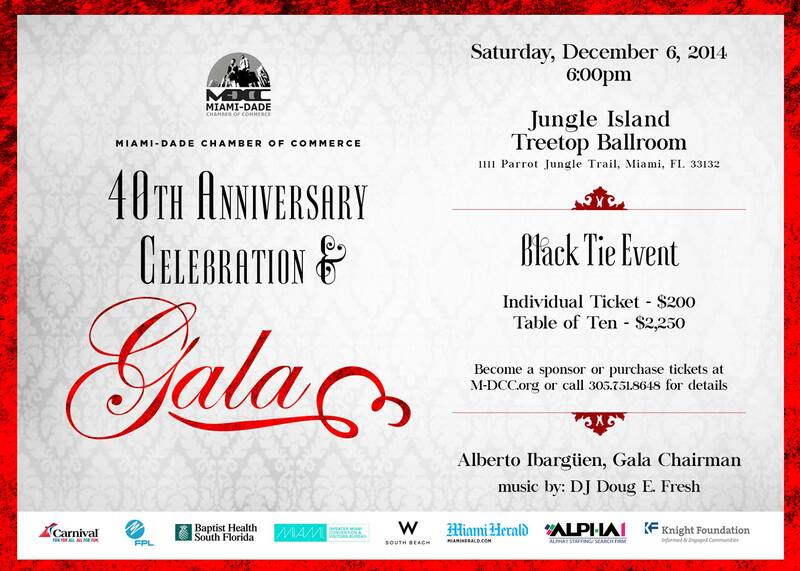 MIAMI, FL, October 27, 2014 — The Miami-Dade Chamber of Commerce (M-DCC) will host an elegant black-tie gala to celebrate its 40th Anniversary and you are invited to attend. 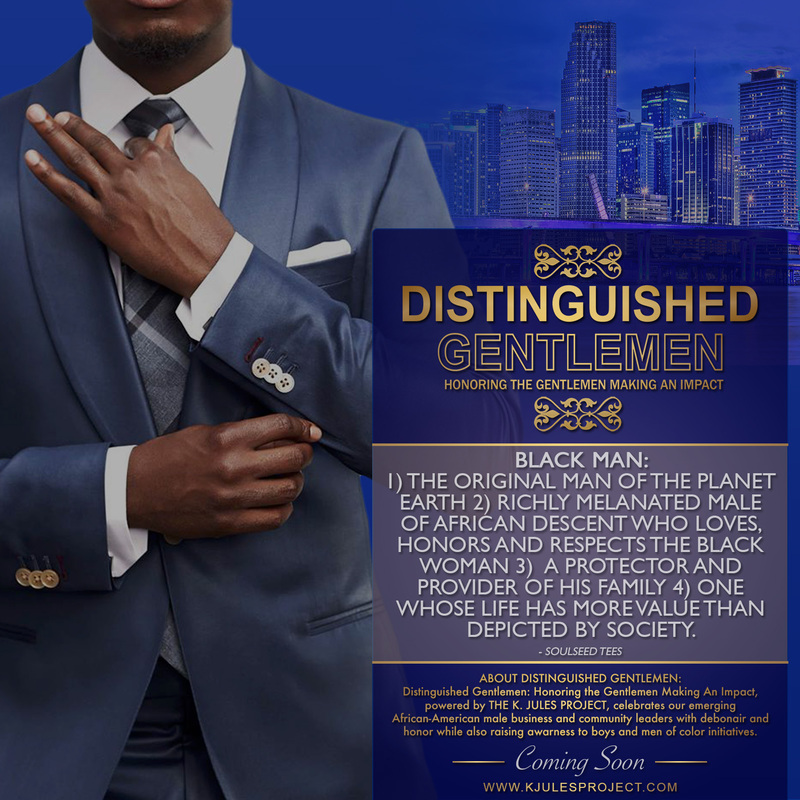 The Ruby inspired Gala will be held on Saturday, December 6, 2014 at Jungle Island Tree Top Ballroom, 1111 Parrott Jungle Trail, Miami, Florida 33132. The gala begins with a cocktail reception at 6:00 pm. The gala always attracts an esteemed group of notable civic, business and community influencers. This year’s gala chairman is Alberto Ibargüen, President and CEO of the John S. and James L. Knight Foundation. Music will be provided by legendary Doug E. Fresh. The M-DCC has been at the forefront the past forty-years advocating for Black, Minority and Women-Owned businesses providing a blueprint to create awareness of the economic impact minority-owned businesses have in the Miami Dade and South Florida area. The M-DCC carries the leadership torch of its past Presidents who include; Inaugural President David Fincher (1974-1984); Dorothy Baker (1984-2004) Bill Diggs (2005-2013) and newly elected President G. Eric Knowles has already begun to make an indelible mark through advocacy and membership engagement. Gala Sponsors include: John S. and James L. Knight Foundation, Carnival Cruise Lines, FPL, Baptist Health South Florida, W South Beach, Port of Miami, FIU and Greater Miami Convention and Visitor’s Bureau. The M-DCC gala is one of the most sought out invitations in South Florida during the holiday season. The 2014 Miami-Dade Chamber Gala Honorees to receive prestigious honors include: Garth Reeves Sr. Publisher Emeritus-Miami Times, will receive the H.T. Smith Lifetime Achievement Award. Adora Obi Nweze, President of the Florida State Conference NAACP will be presented the Distinguished Service Award. Miami-Dade County Commissioner Dennis C. Moss is being recognized with the Citizen Of The Year Award. Individual Tickets are $200 per person and $2,250 for a table of 10. Sponsorships offer tremendous added value including extensive media exposure and the opportunity to promote your company to South Florida’s noted business executives, elected officials, professionals and community influencers. For more information and to reserve your space, please contact the Chamber at 305-751-8648 or register online today at www.m-dcc.org.